Branding is simply part of a successful business, from business cards to billboards putting your message out in creative, thought provoking manner is what makes you a household name. 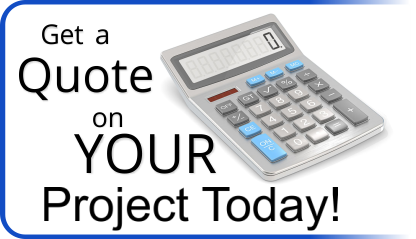 By utilizing the square footage around in and around your business help save you dollars on the bottom line. Window graphics, wall material graphics, overhang signage, sandwich boards and vehicle wraps are all great ways to utilize the square footage that you’re already paying a lease to use… Why not make it more effective? One area of advertising that is often overlooked is the square footage on the floor of your business. Vinyl floor graphics are a great resource to help promote products and services. With a full color, attention grabbing design from Precision Sign and Graphics serving Riverside, CA. and surrounding areas you can liven up your floor space and help your business tiptoe its way to success. The high quality vinyl floor decals utilized by Precision Sign and Graphics serving Riverside, CA. is made from a heavy duty, slip resistant vinyl that resists wear from average foot traffic for around six months. (Location and foot traffic may vary this estimate). The full color format allows you to highlight products or services eye-catching graphics that will be sure to get noticed. 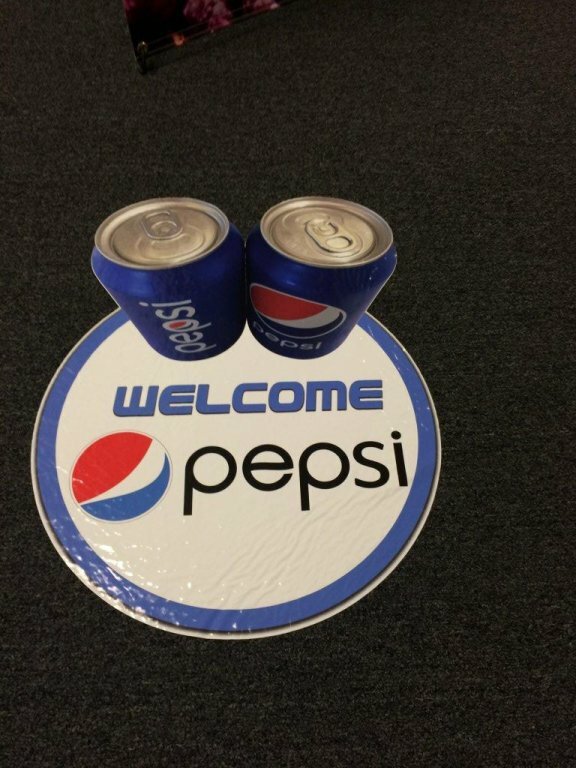 We also can diecut the vinyl floor decal to provide it with a more 3-D, eye-catching appearance. Finally, tell your customers where to go! A great use for vinyl floor decals in the Riverside area is to help provide your customers with directions. Consider being able to put floor decals on the convention floor directing customers right to your booth or floor decals that help direct customers to different departments within your complex. In a car dealership directing customers to the appropriate department that they need: cashier, parts, service, sales… Because of the durable nature of these floor graphics it really allows you to help navigate your customers to the right location to help reduce confusion and increase customer loyalty. The high quality vinyl floor decals can be applied on low pile carpet, ceramic tile, quartz tile, linoleum and more. In fact the vinyl floor decals can stick on just about anything that you can walk on except for shagg carpet. Because of this versatility, it becomes a natural extension of your message allowing you to get the best use out of the floor space in your business, even on floors that have multiple services. Precision Sign and Graphics serving Riverside, CA. and surrounding areas is your hometown expert when it comes to all of your advertising print needs. From business cards to billboards, flags to floor graphics we have you covered. Our art department is well known for its utilization of eye catching graphics and branding techniques to bring all of your advertising print products together pushing your unique image. Vehicle wraps, banners, wall graphics and window graphics are large-format areas that can really allow you to be expressive and getting your message out. Give us a call today and talk to us about your advertising needs and experience the Precision Sign and Graphics difference.